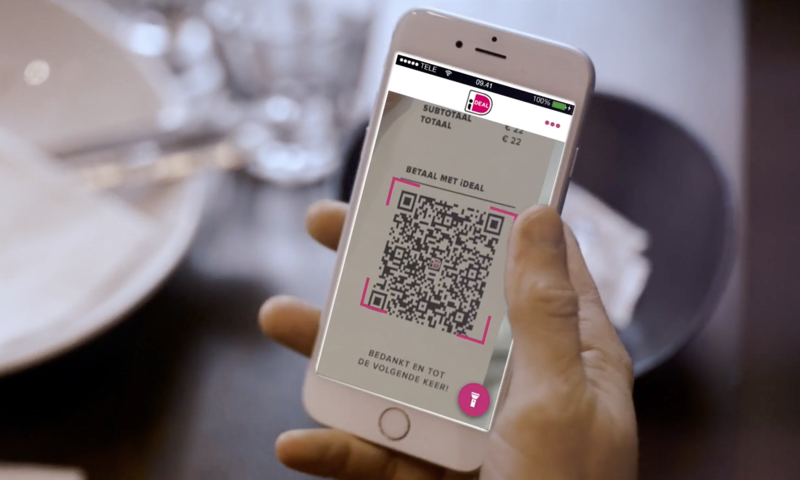 With iDEAL QR customers can use their smartphone to pay with iDEAL in a growing number of situations. You can find iDEAL QR codes on screens, printed matter, letters, bills and invoices, for example in restaurants and on collecting boxes. To scan an iDEAL QR code, customers can use the mobile banking app of their own bank (if the bank already implemented the functionality), or the iDEAL app. Customers simply approve the payment by using their mobile access code, finger print or by facial recognition. iDEAL QR is an optional service that can be offered by iDEAL licensees. The Acquirers and CPSPs offer the functionality to generate iDEAL QR codes and to process an iDEAL payment. Issuers have implemented an iDEAL QR scanner into their mobile banking apps. Click here for the implementation guidelines of iDEAL QR for Merchants.